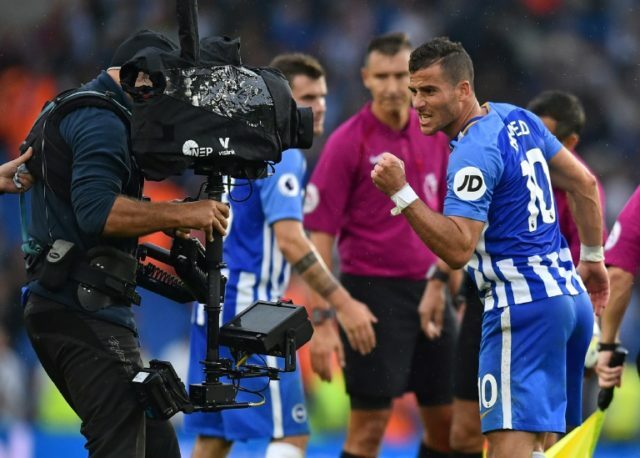 Brighton (United Kingdom) (AFP) – Israeli striker Tomer Hemed’s 51st-minute goal earned Brighton and Hove Albion a 1-0 victory over last season’s Championship sparring partners Newcastle United in the Premier League on Sunday. “It was a hard-fought victory,” Hughton told Sky Sports. “We did enough to get a point at least,” Benitez said. “The goal for me was a foul — pushing and blocking. But you cannot change the decision.